A trade show has long been considered a potential revenue generation platform for businesses. This is the one place which involves serious grinding of brain cells to drive businesses, acquire clients, and boost sales in the most organic manner possible. When you run a trade show exhibit, the first thing on your mind would be to generate enough ROI (return on investment) that would be beneficial for your product. To enable that happen, you need to plan out your exhibit in such a manner that ensures you hefty ROI. Once you optimize your trade show to that extent, you end up making a lasting impression on the clientele you encounter. This in turn only means one thing – good business. A run-of-the-mill trade exhibit that is nice but not extraordinary shall not do enough to attract visitors at first sight. You have to avoid such situations tactfully by planning in advance. 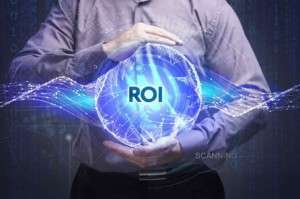 There are dual aspects to enhancing ROI. These two aspects of being: generating leads and saving excess costs. Once you have ensured that your strategies enable these two aspects playing out in sync, you can be rest assured that you have finally managed to play your cards right. Generating leads and saving costs are what make a show exhibit successful and without them, no matter how pompous your exhibit looks, it would be a hollow in terms of profits. When you put up a trade show exhibit, lead generation and saving costs should be the core of every strategy you design. A well planned and executed show exhibit makes lead generation easier. Since you are the talk of the town, more and more people would want to do business with you. To get in touch with you, they will try looking out for people who have had done business with you earlier. This way, your existing clients become useful referrals. They endorse your brand for no extra charges. This only goes ahead to save your expenses on advertising. Your creativity represents your company. The more innovative you get in your approach, the more you impress your audiences. Impressions, as you would know, are contagious. If a certain influential person has a certain impression of you, the rest follow. Integrating innovation in exhibit booth design is a subtle way of attracting eyeballs. Making people see your product by first giving them something appealing to see in the form of your booth design makes all the difference. The word spreads like wildfire and soon, you would have people around you wanting to do business with your company. The best outcomes have been noticed when you allow the audiences to interact with the product in a way that makes them happy and leaves them wanting for more. Immersive technology integration would boost your marketing strategies by leaps and bounds. When you let the audiences indulge in immersive experiences, they tend to speak more about your product. Your product is not easily washed away from their memory, and if you have managed to do it fairly well, they keep coming back to you, only to relive the experience. This is a definite recipe for subtle, smart and organic lead generation. Putting a number on things always brings clarity. Audiences, leads, revenue, profit are nothing without numbers. If you have numbers in place, it is easy for you to track down significantly evident leaks and work on them. Your brand would not perform well if your exhibits end up leaking audiences. This affects your profits. For your strategy to be at the summits of accuracy, you need to have a numerical backing. Analytics is the best tool that gives you a systematic breakdown of all there is to know about the event. It also gives you clarity about the sort of strategies you would need to resort to, in order to generate leads in the most cost-efficient manner possible. Technology allows us to achieve more than what we could have dreamt of a couple of decades ago. It is used to turn irregularly shaped objects into a display surface that aids video projection. By using hi-tech innovations, you up the scales for your audiences and you make them believe that they are not entirely wrong to expect high-end quality from you. Lead generation only comes when you think outside the sand box. Time and again, your company, as a brand has to outdo itself. Only then will your exhibit be a matter of conversation. How to Be Cost Effective with Intelligent Trade Show Booth Design? This is how you take care of lead generation in the most effective manner possible. Coming to saving costs, here is how you should do it. Most companies usually do not get this right and eventually, this is as logical as it gets. You need to understand that audiences are dynamic and are lured by something different every time. Resorting to the same old venue and methods would then bore your audiences and you would not witness the same amount of ROI when you look at your exhibit analytically. Once you identify what is it exactly that your audiences like, you can make sure that you focus on that and present just what they want but in as many creative ways as possible. You need to regulate your spending at the trade show display. All you spend on should inch you closer to your decided objectives. Anything that does not bring you closer to your objectives is an unnecessary expense. You need to be vigilant about every dollar that moves during the event. No matter how small this amount may seem, when you put quite a lot of them together, they become a huge amount that may not seem too good for your profit indices. If you are intending to launch a product or carve a niche in a new market, you need to invest in awareness marketing through sponsorship and tactful advertising. You have to allocate your budget accordingly. You are driving your business to ruins if you do not correctly know the difference between value and cost. Being frugal is necessary, but you need to know when you are getting miserly with your expenses. There are certain situations that demand expenses and if you do not spend properly, it may hurt your ROI. Like if you opt for cheap lighting just to save money, your product may not come across as appealing to the masses, thereby creating a bad impression. Exhibitors usually tend to leave out vendors from the discussions. Usually, the need for good necessitates the need to get in touch with vendors. But involving vendors in your discussions would help you get insight regarding the best quality in the most affordable prices. Using their expertise and insight goes a long way when it comes to saving costs. You could also negotiate add-on features for an booth rental with vendors thus saving you a quick buck or two. And as the old adage goes, “a penny saved is a penny earned”. The bottom line here is – You need to trust the experience and insight your business vendor has to thrive in a competitive landscape. In conclusion, you need to understand the nuances of the game that is trade show displays. There are a lot of elements at play here and missing out on any of those could lead to disastrous results. When you look at organizing a trade show exhibit, you are not only looking at things in the present, but you are also focusing on how it would fetch you benefits in the long run. After all, planning in advance is what puts you ahead of the curve and that is just the right amount of edge you need over others. In the business world, everyone holds potential. What matters is nosing through the finish line just in time to be recorded as the winner. For that, you have to be in the right place at the right time. Using the above strategies, you can ensure that you are where you should be. Trade show exhibits end up being a beneficial event for your brand or product. You have to deal with it in as vigilantly and carefully as you can. Such events decide whether your brand rules the market or gets ruled by others.